I spend a bunch of my time talking to business owners about their marketing plans and yesterday was no different, EXCEPT that it was one of my bestys that I was talking to! I have masterminded with Kir for almost 5 years, but it felt like yesterday was a big change from the standard fare. Kir is an entrepreneur in every sense of the word. She does two different MLMs (Passion Parties and Beach Body), has a rabid following on her social networks, is a published author and has a blog that is growing in popularity. So yesterday we finally got to the heart of the matter, while she likes working with her MLM “peeps”, in a perfect world she would not have to “work” at all. Bonus for you, she said I could tell all of you the process and suggestions that I have for her to build a business around not “working”. Kir is rabidly passionate about working out. She is happiest when spending up to 5 hours a day training for marathons and Ironman competitions. She even competed in THE Ironman competition in Kona Hawaii in 2014, qualifying for it rather than getting a lottery entry. She is also a vegan eater who spends lots of time shopping for and cooking super yummy vegan food. Last but not least she has a passion for getting her finances under control and becoming debt free. About a year ago we started a blog for Kir called FoodFitnessFinanceFun.com. She started out by writing just one post a week, but over time we figured out that she is a writer and so now she posts twice a week. Because she is a writer, she also published a book about how to “Train Smarter for Better Results: How To PR Your Iron Distance Marathon“. Kir is super good at growing followings on social media. She has over 10,000 connections on Facebook and is getting close to 1,000 on Instagram. For her, it is easy peasy to get people to follow her and talk with her about their hopes and fears. Lastly, she has NO problem taking sweaty videos of herself. While most of my clients agonize over having perfect hair and makeup for their videos, Kir is super comfortable with popping out videos after her workouts or when she is just hanging out training in her home. If you follow any number of marketing experts, they will tell you can “monetize your passions” simply and easily, earning big bucks while doing what you love. Ummmm, yes you can, but it is not as easy peasy as they sometimes make it out to be. $97 Consultations – One of the absolute easiest way to monetize your passions is to offer to consult with people about it for $97 an hour. Many of the people Kir talks to online have questions and it would be super easy for her to put a page on her site with a PayPal button and then just chat with them. While this isn’t a passive kind of income, it has no front end cost or ongoing responsibility. These could be super affordable (between $7-10) and be the top of her sales funnel for getting people spending money with her. Swimming Training Plans – Kirsten swims A LOT and has neat ways to keep it from being boring. It would be super cool to make a laminated plan that athletes could take to the pool for inspiration. Ongoing Coaching Programs – This is the shakiest one in terms of Kir being happy. She was a trainer years ago and really didn’t love working with people on an ongoing basis. We would have to be super targeted with who she would accept to coach. That said, it is recurring income that could be sold a much higher price. Books – Books are great for exposure, but not fabulous for making money. There is little chance you will write a couple of Amazon bestsellers and then sit back and rake in the bucks. Books are a marketing tool more than a money making tool. Sponsorships – In the fitness world it is pretty common to have sponsor companies that give products in exchange for the athlete wearing them while competing. While this is not monetary, it would be good “trust” symbols to have on her site that major companies are sponsoring her training. Blog Advertising – One way that a fitness pro with a readership and social connections can monetize is charge for advertising. This is different than sponsorships since Kir will get paid rather than just getting products. Affiliate Products – Since Kir is a Beach Body rep, she has a built in product to sell, but she can also take advantage Amazon’s affiliate program and look for other products that are available via an affiliate program. What Is YOUR Fabulous Live? 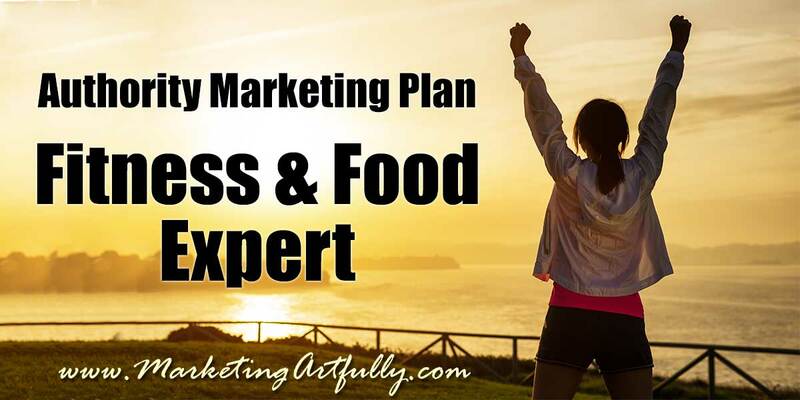 The thing to look at when you are doing this kind of authority marketing is what YOUR fabulous life looks like as well as what you are doing now that you can leverage. Because Kir is already good at growing big groups of people AND feels that exercising is not working, this kind of “business” would be perfect for her. The one thing to remember is that she cannot quit everything that she is doing today. She will have to build up her income from these different sources before she can “quit” some of her other entrepreneurial endeavors.